﻿ Best Price on Paradise Bay Bahamas in Steventon + Reviews! 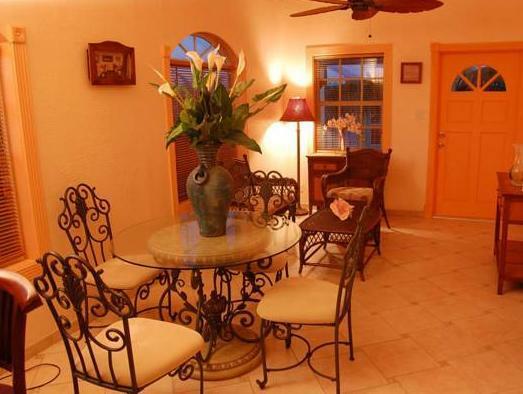 This B&B is set in the shores of the Paradise Bay Beach, 15 minutes’ drive from Exuma International Airport. It features a sun terrace, an extensive garden and a golf course. Free private parking and free WiFi is available. The rooms offer garden views or ocean views, air conditioning, a desk, fan, TV and DVD player and iPod dock. The bathrooms have bath or shower. Paradise Bay Bahamas serves free Continental breakfast. There is a restaurant on site named La Fourchette. There is a liquor store at less than 0.6 mi . Activities like boat tours, Jet Ski, surfing and wakeboard can be arranged at Paradise Bay Bahamas. Car rental, scooter rental and kayak rental are also available. his property is 19 mi from Georgetown and Exuma Town.